I unfortunately didn't put myself together to have this ready earlier in the month and then again last week- but here we are. Favorite Post About Trends: Cara is such a bright woman, and I value her insight greatly. She shared about life before social media, and I found myself nodding along with so much of it. 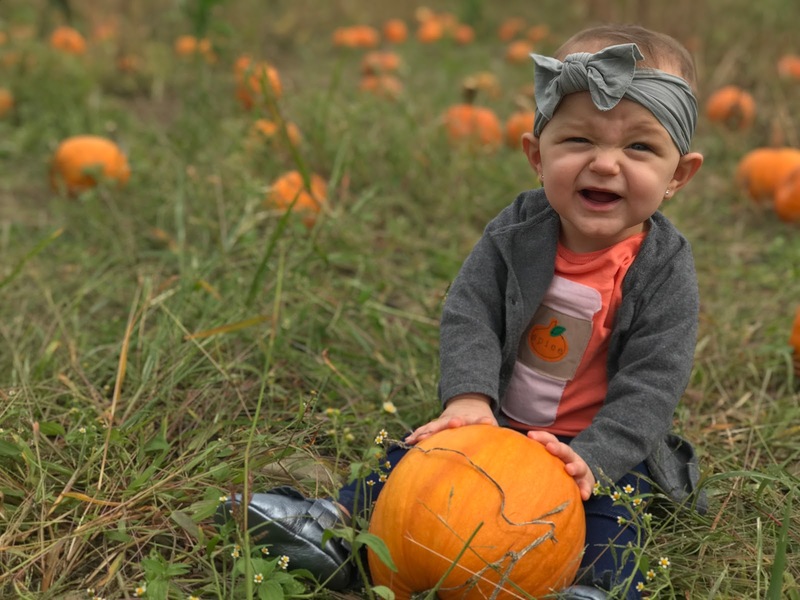 Favorite Outing in September: I was so thrilled that Fall arrived and we made our first visit to the pumpkin patch nice and early. 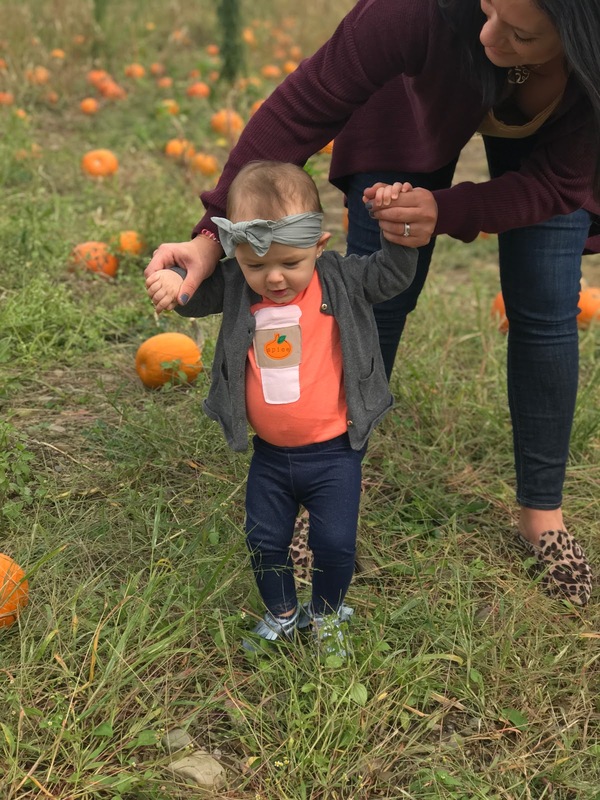 The weather was perfect and it wasn't too crowded- Bella loved checking out the pumpkins, the corn pit and of course watching the other kids. Favorite Decor Post: Oh my Andrea, you have outdone yourself with your Fall porch. You could have told me these photos were part of a magazine, and I would 1000% believe you. I am so obsessed, it's hard to say what part is my favorite. Favorite Parenting Post: I've still yet to create an "empties" post where you share a bunch of products that are now empty and a min-review of them. Need to add that to my list. I loved this one Nadine shared on some baby empties and even purchased a few things that are now working for us. I love when people share their honest opinions- Thanks girlfriend! Favorite Purchase: Vivian talked about this diaper bag, and it's a dupe for a much more expensive one. I went ahead and purchased the pink because it's nice to have another option. This one is much more spacious width wise than my previous diaper bag and I'm so thrilled with it. Favorite Non-Mom purchase: I know diaper bags aren't something we all need, but these shirts from Target are. I am obsessed with the "A New Day" brand at Target and the long sleeve shirts are beyond comfortable and so cheap. A great basic that I've been wearing alone, or under cardigans and for work and beyond. Love them so much! I hope you are all having a great week and enjoying October. 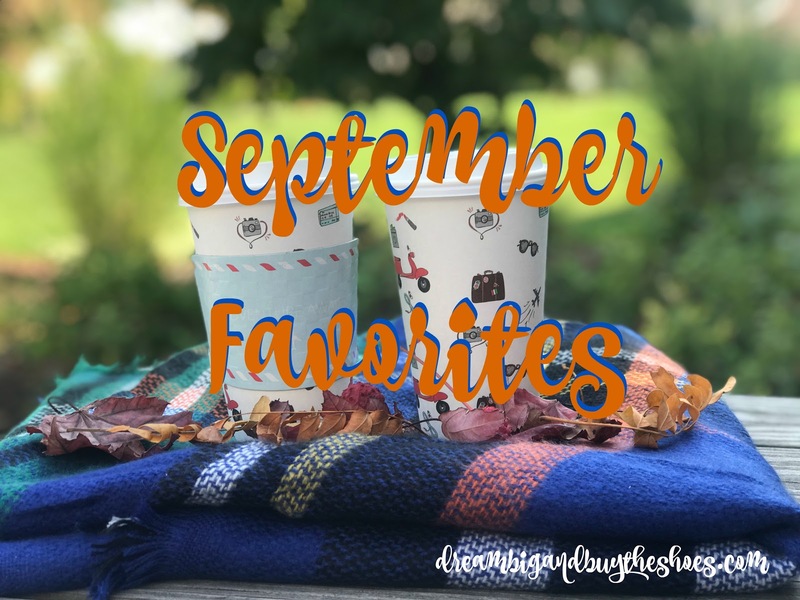 What fun things do you have planned for the month?